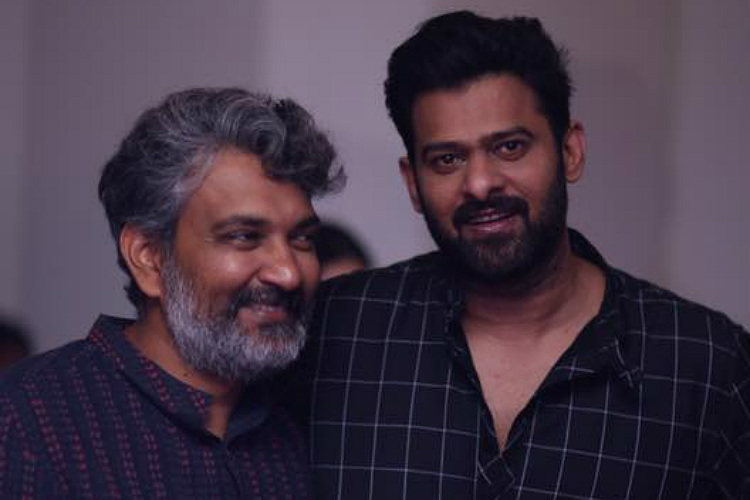 Rajamouli and Prabhas devoted 5 years of their lives to the blockbuster Baahubali franchise. While Prabhas is currently busy with Saaho, Rajamouli is working on the script for his multi-starrer featuring NTR and Ram Charan. In his latest interview with a leading English news portal, Rajamouli was asked if Prabhas is doing the right thing by acting in a film like Saaho after Baahubali. In his response, Rajamouli was all praise for the Young Rebel Star. Rajamouli said that he knows no other actor as intelligent as Prabhas. “What I really like about Prabhas is his mature and sensible self-assessment. He knows exactly what he is worth, no more no less. He neither overestimates nor underestimates himself,” Rajamouli said.